This book takes an in-depth look at the monster of terrorism beyond its normal evil manifestations. It examines terrorism with Lord Krishna's technology of handling evil and evildoers, which as per the great Lords divine approach should include: An in-depth analysis of the problem including its causatives, Intense and persuasive dialogue with evil generators-persuading them to give up the unrighteous and unsustainable path of terror· Applying swift and crushing blows with requisite multiple thrusts on those not responding positively to crush such terror perpetrators and the terror infrastructure and Employing a suitable package of the elements of 'Gandhian Philosophy' on the hearts and minds of evil doers in order to stop regeneration and re-sprouting of roots, shoots, seeds, and braches of so crushed terror and terrorists for a permanent and satisfying change. The 'Current Fortified Strategy' of handling terrorism can be assembled to take care of the first three requirements. But it remains devoid of any component efforts to effectively handle the root causes of terrorism which emerge from misguided human hearts and minds. 'Gandhian Philosophy' is rich in such 'Brahmastras', which on sustained application, can decisively and completely root out all thought formations of terror and terrorism. The reader is bound to appreciate this truth on going through the uncommon approach of this work. About the Author: U.V. Singh : Dr. U. V. Singh is a management consultant, primarily specializing in productivity improvement acceleration (PIA) in corporate work environments. He possesses a brilliant academic record and a Ph.D. in 1966 from IARI, New Delhi. Immediately afterwards, he earned a Post-Doctorate degree from CNRA, Versailles, France. Early in his work life, he entered the corporate work environment, passing through the varied fields of research and development, product development, marketing, market development, project planning, production, technology upgradation, technology transfer, business diversification and productivity acceleration, earning an intense and varied work experience spanning over 40 years. Later in his career, he concentrated on management training and consultancy work aimed at collective work output acceleration for a number of corporate. All through his long and varied work life, Dr. Singh attempted to arrive at and sustain an active mix of thought and action warriorism. He has been a keen student of human nature and its manifestation in collective work environments. He developed and productively employed several of his work-related thought formulations during his intense and challenging work assignments. Of these, the theory of bio-lethargy, theory of negativity, the law of stress balance, and the principle of potential interaction were fruitfully employed. Dr. Singh`s first book, the `Management Wisdom of Lord Krishna,` was published in 2008, which was well received. Some management institutions now use it for finding solutions to intricate corporate challenges. His second book entitled, `7 Sins of Corporate Mismanagement` was published by Pentagon Press, New Delhi, in the form of attractive paperback as well as hard cover editions in 2009 and its first printing was sold out fairly quickly. 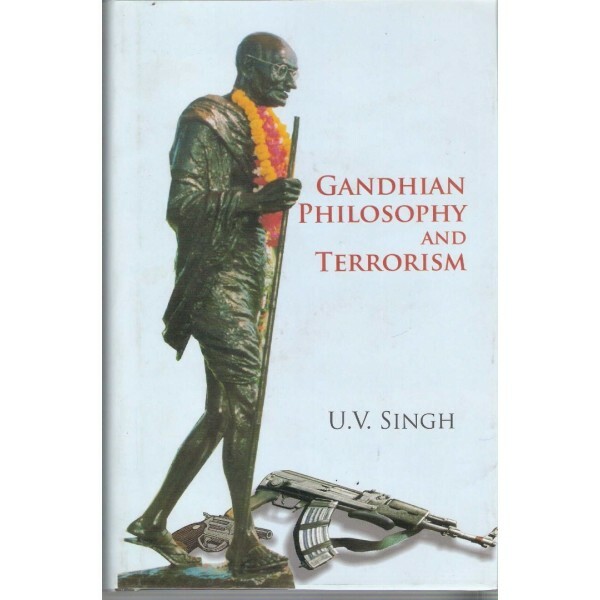 Dr. Singh`s recent occupation with human nature and its interactions with practical philosophies led to the current work entitled ``Gandhian Philosophy and Terrorism``.